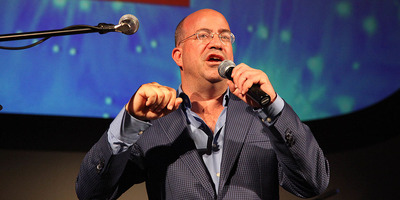 CNN President Jeff Zucker slammed President Donald Trump’s attacks on the news media just hours after an explosive device was mailed to CNN’s New York offices, forcing the network to evacuate its employees. Trump has long waged a war on his critics in the media and particularly CNN, which he has attacked as a leader of what he calls the liberal “fake news” media. “The president, and especially the White House press secretary, should understand their words matter. Thus far, they have shown no comprehension of that,” Zucker said. Several top Republican leaders, including Vice President Mike Pence, House Majority Leader Paul Ryan, and Trump’s eldest daughter, Ivanka, all issued prompt responses to Wednesday’s news that mail bombs were sent to former President Barack Obama, former Secretary of State Hillary Clinton, and other top Democrats. Later in the day, the president elaborated on his public response, calling for political unity and the rejection of violence. The president has waged a long-running war against CNN in particular, which he accuses of being a leader of the “liberal fake news media,” and encourages his supporters to ignore. And all of the political leaders who received packages with explosive devices are high-profile Trump critics whom the president has relentlessly attacked.